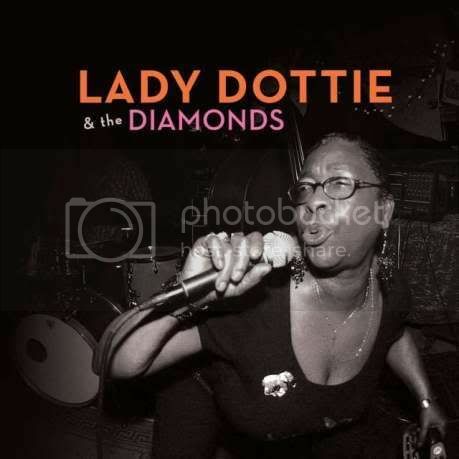 A staple in San Diego for more than a decade featuring some of the most talented musicians around, Lady Dottie And The Diamonds are one of Southern California's premiere blues acts. With the release of the new album and their spot at New York's CMJ Music Festival, you can check 'em out now too! The band leader, Lady Dottie, is a soulful woman in her early 60's named Dorothy Mae Whitsett. Signing everywhere from the kitchen to the pulpit, she was raised in a family of 14 and performed in a gospel choir. "It was hard coming up, but I'm still here and feeling good, too," Whitsett admits. "Days of hunger made me stronger." An Alabama-breed fireball, Dottie's curvier than Lombard and got more gumption than a pack of wolves. She's a tambourine-toting, hip gyrating powerhouse with a sultry voice that will leave you trembling. "I feel privileged to turn a new generation onto the blues," Whitsett says. "We have to realize that people are meant to come together, and nothing does that like music." hey, can u pass me a link donwload, please?